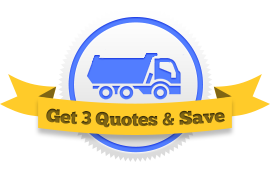 Need a quote on insurance for your recycling truck or recycling operation? Simply fill out our fast and easy form and we’ll connect you with three agents today. They compete for your insurance and you select the winner. Several factors go into calculating the rate you’re charged for insurance. Most of these factors, such as where you live and how long you’ve been in business, are out of your hand. But there are certain ways you can tailor your policy to meet your budget. Your Deductible. This is how much you pay following an accident that’s your fault. If you have a $1500 deductible, you will pay the insurance company $1500 and they will pay for everything else. The higher your deductible, the lower your premium. Your Limit. This is the maximum amount the insurance company will pay after an accident. A higher limit will increase your premium. Your Payment Plan. How often you pay your premium. It can be monthly, quarterly, or yearly. The insurance companies might give you a discount if you choose to pay less often.